Gap Free™ ring design prevents gapping and misalignment of rings. 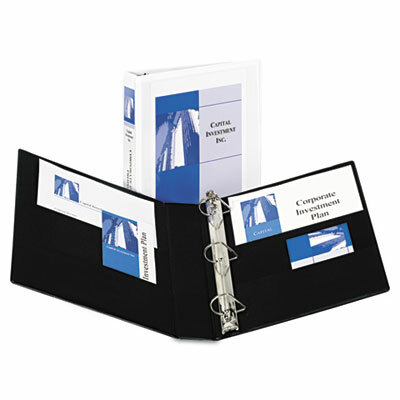 Acts as both a binder and notebook, storing up to 25% more sheets than standard round-ring binders. Gap Free™ ring design prevents gapping and misalignment of rings. Pages lie flat against back cover for easy index visibility. Create an "instant desk" by folding cover back for a smooth, flat writing surface. Two interior pockets store unbound materials so nothing gets lost.